Brew City Kayaks offers kayak rentals for people who want to explore the Milwaukee River at their own pace. Rent a Tandem Kayak for up to 4 hours for only $70! Along your paddle you will discover the beautiful City Skyline and have the opportunity to stop and get out of your kayak. Many kayakers enjoy stopping at one of the many local breweries or restaurants along the river. 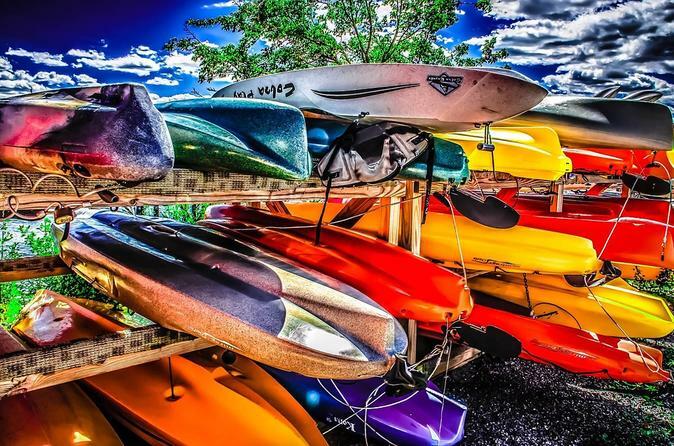 Our kayaks are sit-on-top style which are safer, easier to get in and out of, and perfect for holding a cooler. Life vests and instruction are provided. Arrive at Brew City Kayak (820 S. Water St.) Feel free to pull into the parking lot and park. Yes, we have FREE PARKING! Head down to the "Paddle Shack" and check in with one of our helpful and friendly staff members. Fill out Waiver, Get Fitted with Life Jacket, Look at Map of the River. Launch into River and head upriver into the lovely downtown Milwaukee, passing the Hoan Birdge, Bronze Fonz, and other City Highlights. Feel free to take your time and enjoy the city, you don't have to be back for 4 hours. Allow yourself 1.5 hour to get back to kayak launch when going all the way up river.